It’s one of the great, silent crimes of the modern games industry: while FPS studios in the ‘90s released mod tools that enabled enthusiasts to tinker with the likes of the Doom Engine and Unreal, the developers that succeeded them – those same tinkerers – haven’t done as much, effectively closed the door on a new generation of modders. 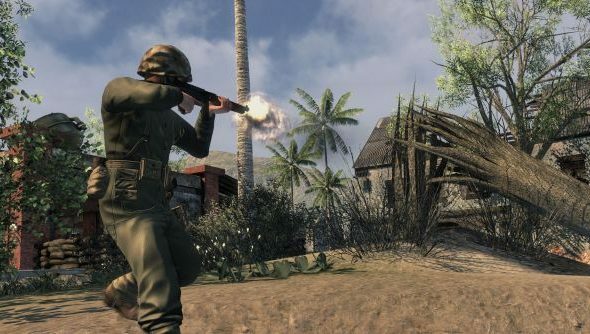 It’s something that Alan Wilson, vice-president of Red Orchestra’s Tripwire – originally a mod team that shot to glory in the first ever Make Something Unreal – can’t understand. He points to DayZ as a prime example of the good that can come to developers who put their tools in the public domain. “Just look what that’s done for everyone concerned. ArmA 2 has been on the top ten sales charts on Steam for about the last four months solid, because of what one of their employees did for fun in his spare time. “So you look at that alone and think, ‘Why wouldn’t you allow people to use the tools?’ People enjoy that stuff, and even if like Killing Floor it’s only generating a bunch of additional content, people just enjoy that stuff. Especially with Steam Workshop which we’ve just put up recently.